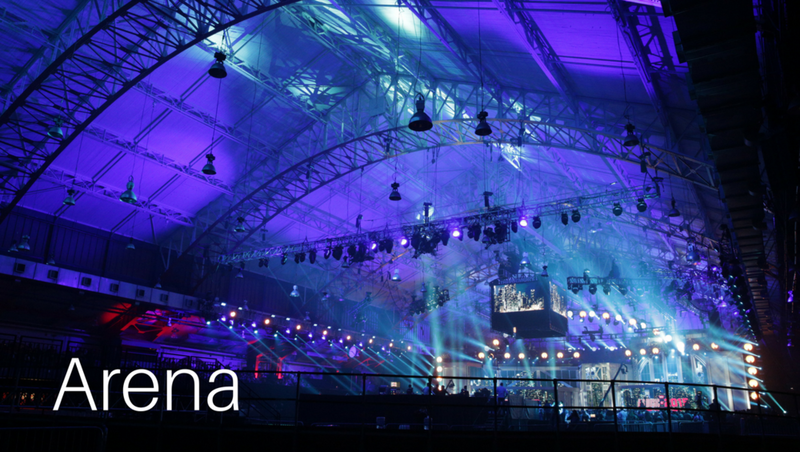 The Arena is a 65,000 square-foot setting designed with the most unique events in mind. With 69-foot ceilings, unobstructed views of the entire space and a 4-sided Jumbotron, you can host up to 5,000 guests in this state of the art arena. The Millrose Boardroom, located on the first floor of The Armory, provides the perfect setting for a board meeting, cocktail reception, wedding ceremony, or any intimate event. 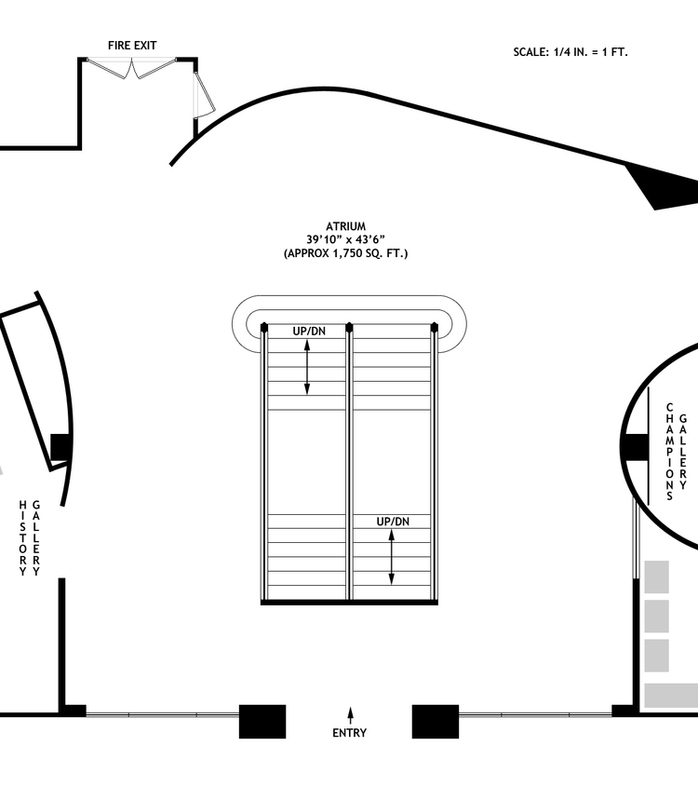 This space includes a private restroom and sitting room, and can comfortably accommodate up to 100 guests. 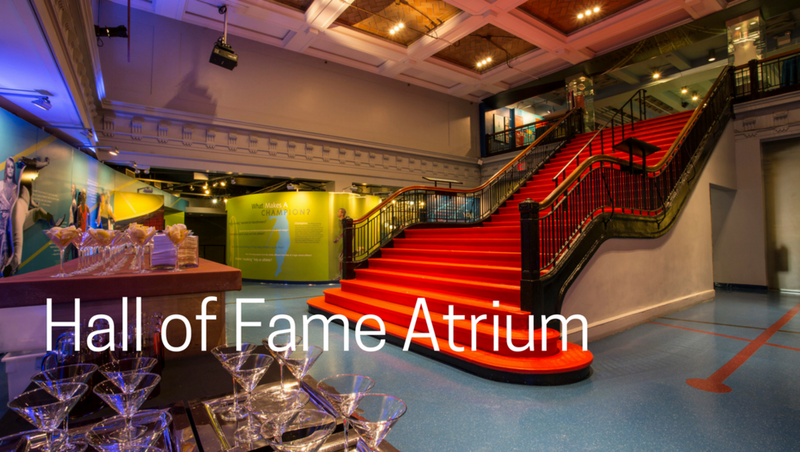 The Hall of Fame Atrium, with it’s view of the History Gallery which houses The National Track & Field Hall of Fame, as well as the Champions' Gallery and Marathon Hall, is the ideal setting in which to host your guests’ arrival among artifacts brimming with track and field history. The History Gallery, with 2,000 square-feet of space, is the perfect complement to the Hall of the Fame Atrium. 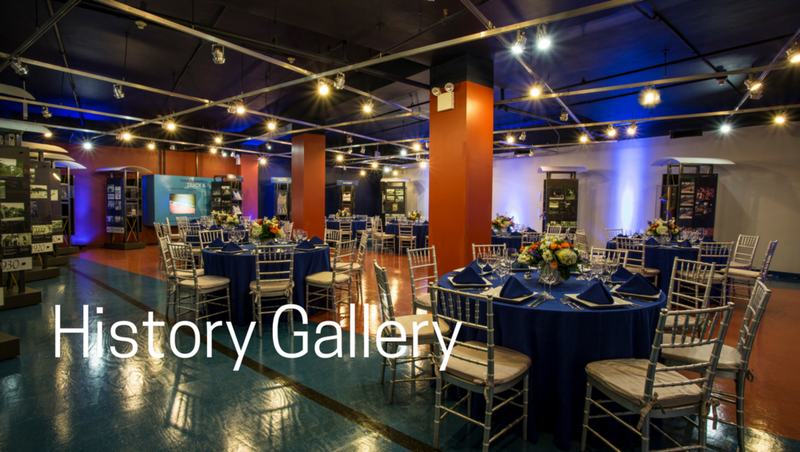 Whether it is lunch for your meeting or a seated dinner for your most elite clients, the Gallery can comfortably accommodate up to 150 guests. 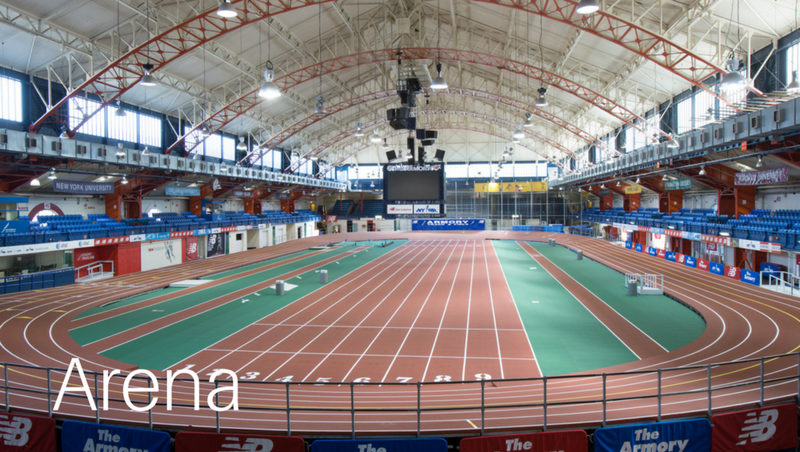 Marathon Hall, one of the most unique spaces at The Armory, offers a live, interactive sound and light map of the New York City Marathon route. Perfect for a wine tasting for 100 guests or a board meeting for 10, this space is a must see! This 800 square-foot space located on the fourth floor of the Armory, adjacent to the stadium seating within the Arena, is one of our most versatile spaces. Perfect for a private meeting, VIP green room or small reception, our Hospitality Salon has endless event possibilities. This 69 seat state-of-the-art theater is ideal for conferences, meetings, presentations and screenings. Original photographs by Chester Higgins, NY Times Photographer.